Ralph George Marshall, 99, of Whiting, passed away Friday, March 29, 2019, at Holton Community Hospital. He was born Feb. 5, 1920 in Whiting, the son of Ralph and Nellie Daisy (Morgan) Marshall. Ralph attended Lawn Ridge Country School, south of Whiting. He worked for an airplane factory in San Diego, Calif. 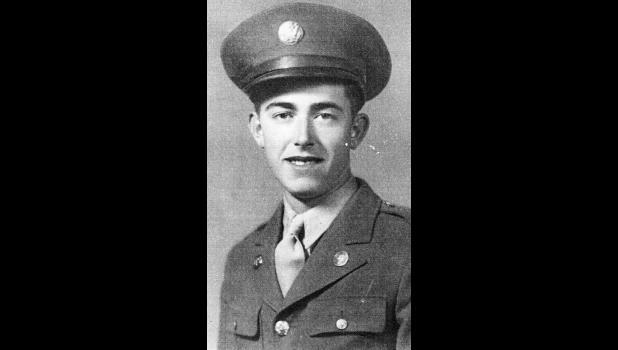 He joined the United States Army Air Corp, proudly serving during World War II. While serving, Ralph’s duties were to fly to the “frontlines” to repair and recover airplanes. He was injured during his duties and later worked as a truck driver for civil service, until retirement. After retirement, Ralph and his family traveled to many states and many orchards, picking fruit in the summer and big game hunting in the fall. He was a member of Holton American Legion Post 44, Holton VFW Post 1367 and a lifetime member of NRA. Ralph enjoyed traveling and game-hunting in Idaho. Ralph married Millie Eilene Rainey on April 19, 1963, in Las Vegas, Nev.; they celebrated almost 55 years of marriage. Survivors include his wife, Millie Marshall, of the home; his son, Ralph W. Marshall (Denise) of Whiting; his daughter, Nellie Anne Lavin of Flagstaff, Ariz.; and three grandchildren, Adam Lavin, William S. Marshall and Sarah E. Marshall. He was preceded in death by a sister, Ruby Lemon; and two brothers, Kenneth “Ted” Marshall and William “Bill” Marshall. Funeral services will be held at 10:30 A.M. Wednesday, April 3 at Mercer Funeral Home in Holton. Burial with military honors will follow in Springhill Cemetery. Ralph will lie in state beginning Monday, April 1 at Mercer Funeral Home.